Home Wifi Mesh Networks – Worth the Effort? Our simple answer: Yes, in any home larger than 1000 sq. feet. 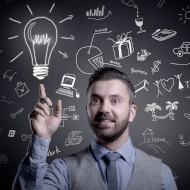 Mesh networks offer improved performance, better coverage and are the future of home wifi. 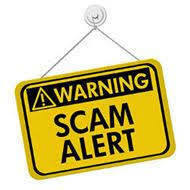 Moreover, they are coming down in price, so the premium that you pay is justified. In addition to faster speeds, they are self-configuring and self-healing, so the reliability of your home wifi network is definitely enhanced. They use fewer wires and generally require fewer ethernet wall connections. 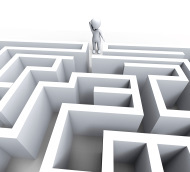 Installation is generally very easy — fewer than six steps are required. In this article, we’ll explain what you need to do before and after setting up a mesh wifi network and offer some suggestions about which devices to purchase. HOW DOES A MESH NETWORK DIFFER FROM WIFI? A mesh network is a network of interlocked routers and satellites, also referred to as nodes.. These nodes work with one another to supply internet coverage over a broad area. In contrast, a traditional wifi network is a single router providing Internet coverage with perhaps enhanced signal via a repeater. Because the mesh network in an integrated network of routers, the breadth and strength of its data signal is stronger than the conventional wifi network. Because of this integration, a mesh network offers better coverage and stronger signals than a traditional wifi network. This Lifewire article offers more information about how the two networks differ. It is important to remember that mesh nodes are essentially radio transmitters that function in the same way as a wireless router. They use the common WiFi standards known as 802.11a, b and g to communicate wirelessly with users. They use that same bandwidth to communicate with each other. The software embedded in the mesh network is what generally allows them to dynamically route data between nodes. In effect, mesh networks are “self configuring” (automatically incorporates a new node into the existing structure without needing any adjustments by a network administrator) and they are also “self healing”. That is, the network automatically finds the fastest and most reliable paths to send data, even if nodes are blocked or lose their signal. There are several home mesh network systems available. This article will evaluate three distinctive mesh networks: Google Wifi, Plume and Netgear’s Orbi. We found all of them to be affordable (under $200) and functional. Have the network name password for your Internet router available. Download the mobile app for the product you are installing. 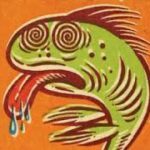 Create an account and administrator password. Consider where to position each node for optimal Wi-Fi coverage. The main router node, which provides internet connectivity to all of the other satellite nodes, will be close to your cable modem or existing router as it will be connected to it using a LAN cable. Other nodes node located out in the open (avoid closets or cabinets) and within reach of an AC wall outlet. Once your mesh Wi-Fi system is installed, you should enable some of the features that come with networks. Once you have your system set up, you can test your internet speed with Ookla Speedtest, fast.com or some other speedtest app. You can buy additional RBS20 satellites to extend your network, with the satellite compatible with all Orbi systems revealed by the speedtests. If you have a family with young children, consider enabling the parental controls that let you create profiles for each family member, limit access to certain websites, and automatically turn off network access during specific times of the day such as bedtime and dinner time. If you have any online gamers in the house, go to the QoS (Quality of Service) settings to allocate bandwidth where it’s most needed. These settings typically let you drag and drop devices into High, Medium, and Low priority boxes so that gaming consoles and devices that stream video can be given the lion’s share of bandwidth without having to compete with other devices on the network. Once your mesh Wi-Fi system is set up and running smoothly, it’s a good idea to make periodic checks on network usage, visited websites, and client lists. Most systems worth their salt will send a push notification when a new client joins the network, allowing you to deal with unwanted clients immediately. Install or use any embedded anti-malware utilities that protect against viruses and other malicious content that may be introduced into your network by a user. Some smart home devices, however, such as some Wi-Fi security cameras, require a connection specifically to a 2.4GHz network. In some cases, the mesh system doesn’t recognize this requirement and the camera won’t connect to the mesh networks. There are some mesh systems that allow you to create segregated 2.4GHz and 5GHz networks, or you may have to add a 2.4GHz Wi-Fi extender to your system for these stubborn smart home devices. Make sure your firmware is up to date, as the latest versions often boost performance, add new features, and provide security fixes. WHICH MESH NETWORKS TO BUY? We tested the Google Wifi, Netgear Orbi (RBS20) and the Plume Pod network. We were ultimately disappointed in Plume, as the performance was clearly inferior and the monitoring service provided by Plume was not up to the task of troubleshooting our home network. At the moment, we can’t recommend it. In contrast, we were pleased with both the Google and Orbi networks. 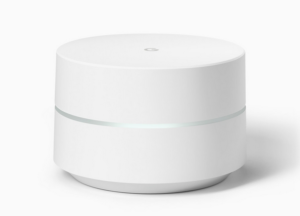 Google Wifi is an extensible mesh-networking kit with an intuitive app. 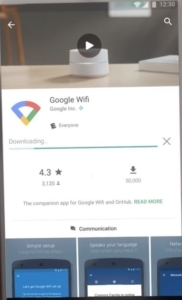 Google WiFi uses built in software, called Network Assist technology, that works behind the scenes to deliver the best possible WiFi connection. When you’re walking around the house, Network Assist seamlessly transitions your device to the closest WiFi point for faster connection. It also automatically connects your device to the fastest available band based on your location. Two Wifi disks are supposed to be able to cover over 3000 sq. feet and, indeed, they did. Very capably. Two disks costs about $200 if you purchase from Google directly. But they’ve been going on sale and we found two of them for under $150 on eBay. A three-pack is currently available for about $200 at a number of online outlets, if you want expanded coverage. Google’s mesh network system is the three-unit Google Wifi. It’s very straightforward to set up, and it’s much more affordable than many competitors – almost $200 less than the Eero and $100 less than the Luma. It’s fast, but not quite as fast as the Eero. It does come with a lot of extra smart-home functionality. You can control Nest thermostats, Phillips Hue lights, and there’s also a Family Pause feature that allows you to pause access for particular devices. The Orbi RBS20 mesh network consists of two devices: a router and a satellite. 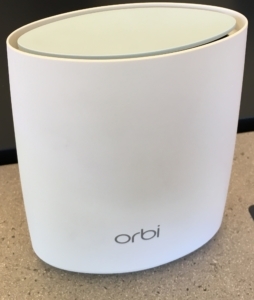 To maximize router performance, Orbi uses a separate 5GHz band dedicated solely for communications between the router and the satellite, rather than sharing bandwidth. No other devices can use this wifi band and improves data transfer within the Orbi network. The two devices provided full coverage for a 2,000 ft. multi-level home and offered superior performance than either the Google or Plume networks. Orbi prices have been coming down of late — the RBS20 was sold for $150 at Costco. Installation is remarkably simple. And each satellite has two Gigabit Ethernet ports, which you can use to plug in wired devices directly. Alternatively, you can hook up the satellite to the router via Ethernet, using this for the backhaul rather than using wireless. This can have the effect of boosting reliability and is also useful for extending your wireless beyond the range of the normal network – say, to an outbuilding. In short, you can get serious improvements in your wifi coverage without having to buy a new, more powerful router for under $200. At the moment, Orbi is impressing us the most, but all of them will likely be better than your conventional router. https://www.sandiegocan.org/wp-content/uploads/2018/10/Idea6-thumb.jpg 190 190 mshames https://www.sandiegocan.org/wp-content/uploads/2018/07/Logo4-sm.png mshames2019-02-26 05:41:432019-02-26 05:41:43Home Wifi Mesh Networks - Worth the Effort?